A smoky blend of chili, cumin & caraway seed spices up this creamy fontina with an intense and interesting flavor from North Africa. 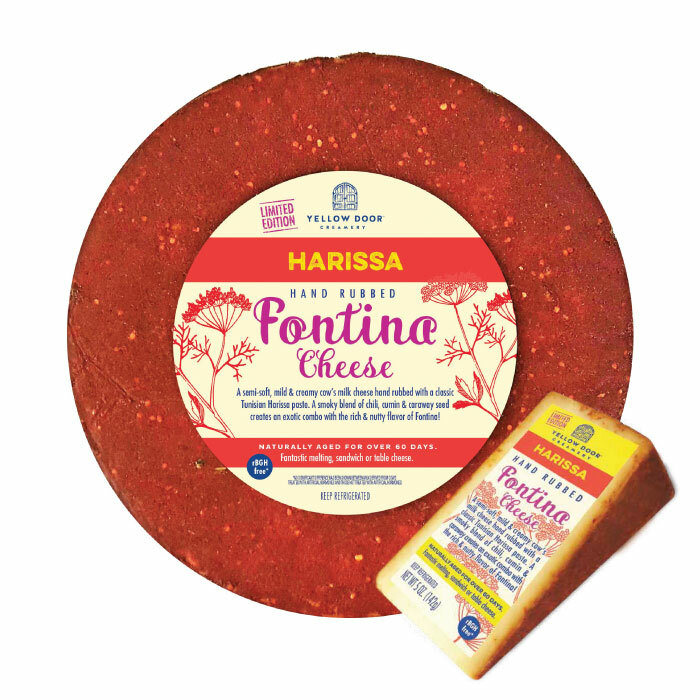 Harissa fontina is the perfect final touch to any meal – particularly grilled cheese, quesadillas or paninis. Try Harissa Fontina cheese in recipes, right here.